As you begin the search for that next car, you’ll soon see the plethora of information that awaits your eyes in Toms River, Brick, and Freehold. We want nothing more than for you to feel like you’re driving the roads of the area free and easy in a car that matches your personality and needs. Porsche Toms River wants to help simplify the car buying or leasing process. One way to do that is by checking out our Porsche car comparisons. These comparisons will go side-by-side to provide valuable information, educating you about the cars on our lot and how they stack up against the competition. Before you invest in a product or certain item, you’re going to want to research to learn everything you can about it. It’s no different with a car. You may have a wish list in mind of important features and characteristics of a car that matter to you, whether it’s the infotainment system, seating, or engine power. Our Porsche comparisons take information from trusted sources. We’ll break things down in an easy-to-read format so you’re able to spend time considering the important features of two cars in a short amount of time. Once you’ve finished reading our comparisons, a test drive is the next step. Easily browse vehicle information in these comparisons. We’ll compare a Porsche model to another manufacturer’s car, though you may see a comparison between two Porsche models, too. This will give you a better idea of the car that will fit into your lifestyle, as you’ll be able to see the similarities and differences between them. A comparison will discuss information like engine performance, infotainment options, seating, and more. You’ll get a peek at the standard features, but also some of the available packages and options, too. Our goal is always the same: to make you feel comfortable with the inventory before you even visit us for the first time. 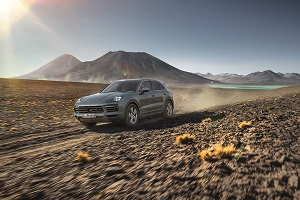 Read the Porsche Toms River vehicle comparisons to learn more about these exceptional vehicles. Explore the roads of Toms River, Brick, and Freehold behind the wheel of a Porsche today.